1 in 3 of all Google’s searches are for local businesses which is a huge opportunity for savvy business owners – if marketing dollars are spent in the right place. Pay per click (PPC) marketing is one of the most targeted, and highest converting forms of advertising that a local business has in it’s marketing tool box. It allows a businesses to advertise their products and services to people at the exact moment that they are actively searching for or researching those particular products or services. It can also reach more people than the Yellow Pages, is more traceable, and costs a lot less than printing out thousands of fliers. Setting up a PPC campaign on Google Adwords can be an extremely effective way to attract new customers to any local business…if it is set up the right way. 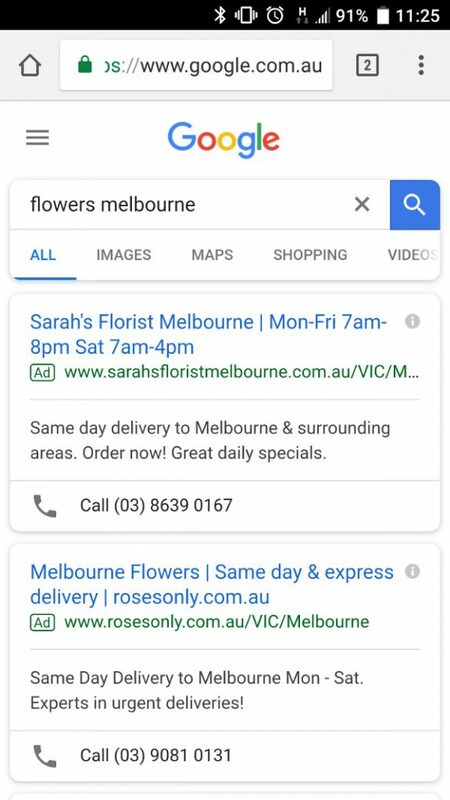 The key for any good local Adwords campaign is to have your ads displayed to your potential customers at the right time and in the right place. This guide will show you how to do that the right way. The key to Google Adwords is RELEVANCE. The first step in creating an excellent local PPC campaign is to get an understanding of how campaigns are structured within Google Adwords. 1. Campaigns – Daily advertising budget is set at this level. 2. Ad Groups – Similar keywords based on a common theme. 3. Ads – The actual ads you see in the Google search results. 4. Keywords – The search terms that trigger your ads. Once you have grasped the general structure of Google Adwords campaigns, the next step is to start planning one for your local business. The first step is to discover what your potential customers are searching for in your market. We have previously extensively covered how to do local keyword research – this exact same approach can be used for your local pay per click campaign. Basically, all you need to do is create two lists. One list that contains the products and services your business offers, and a second list that has all the locations you service – cities, states, suburbs, postcodes and regions. Then you mix and match all these services and locations into a larger ‘master keyword list’. Once you have used the Google keyword tool, brainstormed some relevant products and services, chosen some locations and then generated your ‘master keyword list’, you are ready to move onto the next step. The next step of the local PPC campaign on Google Adwords is the campaign set up phase. It is extremely important that the correct settings and targeting parameters are selected at the campaign level otherwise you will waste your ad budget, and target customers in the wrong location. Head over to http://adwords.google.com and sign in using your Google Account – set one up if you don’t have one. A person may not reside in your area at all – they may be out of town looking for your business. This campaign is set up to target people typing in searches that don’t include the physical location keyword in the search query. The next step is to create different ad groups within each campaign. The best way to do this is to group similar keywords from your keyword list into ‘buckets’ or ‘silos’ of similar themes. Once you have segmented your keyword list into relevant ad groups, the next step is to add the entire keyword list into these groups. You should also set bid prices for each of your ad groups at this stage. Bid prices can then then be updated once you get a better understanding of how competitive and expensive each of your target keywords after you have some performance data. From the list you created in step one, add all of your keywords into these ad groups silos of tightly related terms. There can be any number of ad groups – it is important that all the keywords within any given ad group contain a similar theme. Having keywords that are not closely related will result in low ad quality score, low click through rates, and poor overall performance. Remember, what we said earlier – the key to Google Adwords is RELEVANCE. So keep these ad groups tight. 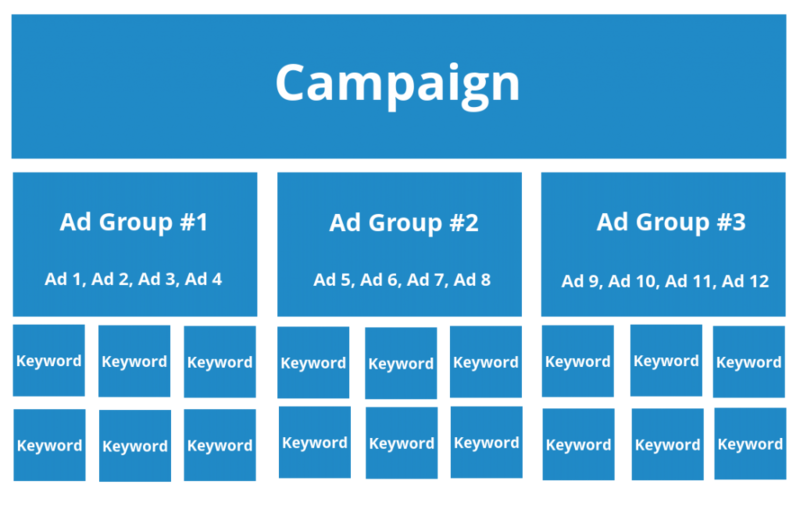 The next step is to set ‘match types’ of keywords within each ad group. I’ve covered keyword match types in greater depth previously which outlines what these match types mean, and how you use them to enhance your campaign. I would recommend keeping the match types as [exact match] and “phrase match” to begin with, as broad match can result in your ads being displayed for searches that contain no relevance at all. Once you get some data after running the campaigns for a few weeks, then you can add in some broad match keywords – as long as you a tight negative keyword list. A ‘negative’ keyword list contains a list of keywords that you do not want to trigger your ads. These could be words like “free”, “download”, “cheap” or any number of variations that don’t reflect the services you are offering. This will help reduce the number of untargeted clicks and help improve your click through rate and your overall relevance (while saving your budget for the keywords that are going to convert into sales). This list is MANDATORY if you want to use any type of broad matching in your campaign. Once you divided your campaigns into tightly related keyword ad groups, you are now ready to write the actual ads that are seen in Google when users type in your targeted keywords. Headline – the most important element, use keywords to signify relevance. URL – the website address and landing page (if you can fit). Line 1 – your best features. Line 2 – benefits and payoffs – Why choose you? Put yourself in the shoes of your customer. Imagine you are your customer sitting in from of their computer. What do they type into the search bar? What do they hope comes up when they make a search? To make your ads more relevant and improve your click through rates, creating ad extensions is a must. These enhance the regular AdWords ads and display additional information about your business, which gives your ads more opportunity to get noticed. Location extensions – linking to your Google+ Local page or custom location address. Call extensions – great for people on mobile devices as they can ‘click to call’ your business through your ads. Sitelinks extensions – add in extra pages to link to such as “why buy from us” or “contact us”. After you have set up your campaigns, created similar themed ad groups and added in your various keywords, you now need to decide on what landing page you want to drive your visitors to. As a general rule, you should NOT drive these visitors directly to your homepage. Ideally, each ad group should have a separate landing page with tailored content that reinforces the ad, and promotes your call to action. What do you want them to do. Do you want your visitors to sign up? Call you? Fill out an enquiry form? Purchase something? The final step in setting up your local PPC campaign on Google Adwords is make sure you are tracking your performance. Adwords offers conversion tracking which involves adding a piece of code onto your ‘thank you’ page. This allows you to track the number of successful actions performed by visitors coming from your ads. Google’s guide to setting up conversion tracking gives you everything you should need to know. Congratulations! You’ve set up your first local PPC campaign. Now you need to keep an eye on the performance of your ads, test different versions of your ads, try different bid prices and keyword match types. Remember, the key to a good campaign is RELEVANCE – relevant ad copy for each keyword, relevant landing pages for keywords, and relevant and targeted copy. The more relevant your campaign is, the better your results will be. 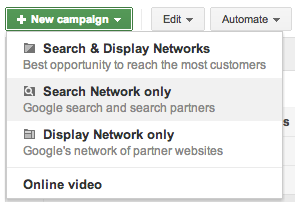 That was the simplest and best read ever on setting up a local search campaign in Adwords. Where was this post when I was getting started years ago? lol. Seriously, your break down on how to set up keywords and all was great. Every Beginner needs to read this post. Nice work! Hey Todd, thanks for your kind words! I’m glad you found it useful! 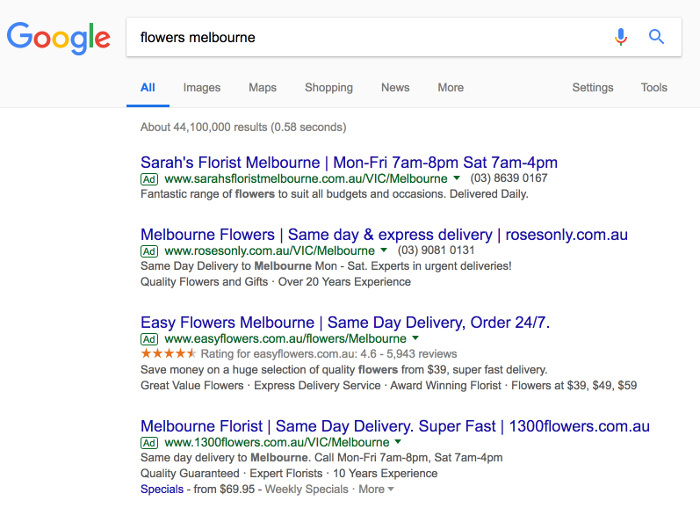 I am a florist (with a passion for both SEO and Adwords) and am always learning and researching and this is by far the best example of setting up an adwords account AND its for a florist!!! Have just shared with a group of florists I know as so highly relevant. It’s great to see someone else with a passion for SEO and Adwords! I know how effective both of these channels can be for florists so it made for a practical example. Nice article! I’ll be adding a link to it from my blog shortly! Wow, great guide. I have experience in setting up local Google Adwords campaigns, but I can see how this article would really help beginners. Love your simple, clear layout. Thanks for sharing!